According to French writer Roger Faligot, author of The Chinese Secret Service from Mao to the Olympics and 40 other intelligence related book, more than 2 million people work directly or indirectly for the Chinese intelligence services. The FBI now regards China as the U.S.’s top spy threat. Among the secrets the Chinese are believed have stolen are neutron bomb designs, data on certain precise small-scale explosions, technical data on explosive used in nuclear weapons, guidance systems used in missiles, electromagnetic weapons for attacks on satellites and radar secrets on detecting submarines. The Cox Report---named after Christopher Cox, a Republic congressman from California---concluded that over a 20 year period Chinese spies had stolen vital secretes on missiles and nuclear weapons from American weapons laboratories. China the report asserted "has stolen classified information on all of the United States's most advanced thermonuclear warheads." Wolfgang Panofsky, an expert in the Chinese military at Harvard, found the Cox report to be "so full of false assumptions, unsubstantiated claims and errors that it could not be a useful reference for anyone studying the Chinese military." Book: Tiger Trap: America's Secret Spy War with China by David Wise (Houghton Mifflin Harcourt. 292 pp. $28). John Pomfret wrote in the Washington Post, “The author of bestsellers on spies and counterspies, Wise is a master of page-turning nonfiction, and from that perspective “Tiger Trap” doesn’t disappoint. Wise has written an important book about the spy-vs.-spy games that are guaranteed to capture the imagination of the next generation of espionage aficionados. One can only hope someday to hear the Chinese side of the tale." Tiger Trap The father of China's missile program Qian Xuesen was born in Shanghai and came to the United States during the Japanese occupation of China. He studied at M.I.T. and earned a doctorate at Cal Tech before taking a job at Cal Tech's Jet Propulsion Lab. In 1955 he was fired on suspicion of stealing secrets. He was invited to Beijing and took up the offer. It was never clear whether he actually stole secrets. China sends a lot of people to the United States to pick up trade and business secrets by visiting plants and talking to professionals and business leaders. According to Newsweek, China also "targets the hundreds of thousands of Chinese students, scientists and entrepreneurs living in the United States as part of a nationwide technology collection effort...Chinese consular officers in the U.S. maintain a computerized list of "Persons with Talent" outstanding Chinese students in science and technology studying at American universities. Each is contacted by a Chinese government official and encouraged to cooperate. Most don't...Often, the 'recruits' who do help out are unaware that are being asked to spy." In the 1980s, the FBI identified China as "the most active foreign power engaged in illegal acquisition of American technology. One U.S. government official told Newsweek, "Beijing aims to modernize its armed forces by surreptitiously acquiring state-of -the art American technology." Silicon Valley has been called the East Berlin of the post-Cold-War era. One diplomat told Newsweek, "China has set up hundreds of front companies in Silicon Valley and "they have hundreds of people in those companies." China gained sensitive missile technology through the launching of an American satellite. When Chinese rockets crashed and burned in 1995 and 1996, with American satellites, the American companies Loral and Hughes Electronic Corp provided information that not only helped the Chinese build better rockets but also better missiles as well. United States intelligence became alarmed when China detonated a nuclear weapon in September 1992 that was very similar to the W-88, a hydrogen bomb warhead that was so compact eight of them could placed into the nose cone of a submarine-launched Trident II missile. The incriminating evidence were some crude Chinese hand-drawings of the nose cones of W-88, W-87, W-78, W-76, W-62 and W-56 warheads and a description of watermelon-shaped trigger sent in package to American officials in 1995. The packages were believed to have been sent under instructions of Chinese intelligence by why the package was sent is a mystery. China insists they came up with the design on their own. To back up this assertion some scientists point out that the Chinese developed a camera for photographing nuclear explosions that is more sophisticated than one made by the United States. John Pomfret wrote in the Washington Post, “David Wise concludes in his new book, “Tiger Trap,” the federal agencies arrayed to protect the United States have handled the threat with astounding incompetence. His book paints a sobering, sometimes pathetic picture of American law enforcement and counterintelligence forces that appear woefully incapable of coping with the challenge from China. Some of the cases Wise details seem right out of the Keystone Kops. Wu-Tai Chin is regarded as one of the damaging spies ever. A translator for the CIA, he fed information to Beijing for more than 40 years and provided them with information that changed the course of history. He informed the Chinese government, for example, on U.S. President Richard Nixon’s secret decision to re-establish tows with China two years before it was announced. Chin began his career as a spy in 1948 after he started working at the U.S. Consulate in Shanghai as an interpreter. He was recruited by a Communist official who introduced to him by his room mate. In 1952 he helped interrogate Chinese soldiers captured in the Korean War and sold the information obtained by the Americans to the Chinese, who demanded the forced reparation of all Chinese prisoners as a condition to end the war. This demand is believed to have extended the war at least a year. As a CIA employee, Chin sold super-secret CIA national estimates and analyses on China and Southeast Asia. He translated all the documents stolen by CIA spies in China and thus helped the Communists ferret out the spies who revealed the information. A large number of people are believed to have lost their lives due to Chin’s revelations. Chin received more than $1 million in payments and used that money to build up a fortune in real estate. He was arrested in 1985, four years after he retired, based on information provided by a Chinese defector. Two weeks after being convicted on 18 counts of espionage, conspiracy and tax evasion Chin committed suicide in his jail cell through asphyxiation by tying a trash bag around his head with his shoelaces. Wen Ho Lee, a Taiwan-born U.S.-educated scientist at Los Alamos laboratory, was suspected of giving the Chinese secret information about the W-88 warhead in the mid 1980s and transferring large amounts of secret data on nuclear weapons in the late 1980s and early 1990s to computers that could accessed by the Chinese. Lee was fired from his job in March 1999 and the story of his case was printed on the front pages of newspapers across the United States. He was imprisoned without bail in December 1999 after being indicted on 59 counts (none of them espionage). He spent 279 days behind bars and spent much of the time in solitary confinement. It is believed that Lee was singled out as a suspect in part because of his ancestry, his visits to China and the fact that his wife often entertained Chinese officials. Lee steadfastly maintained he was innocent. In September 2000, Lee was set free, after all but one often 59 counts were dropped (he pleaded guilty to mishandling classified information), with an apology from the judge, who called Lee's imprisonment "draconian" and "unfair" and said he had been "mislead" into treating Lee as a dangerous spy. A few weeks earlier an FBI agent recounted part of his testimony. In June 2006, Lee was awarded $1.6 million from the U.S. government and five news organizations in a privacy lawsuit. The government gave him $895.000 for legal fees and associated taxes in the 6½ year lawsuit. AP, the Washington Post, the New York Times, the Los Angeles Times and ABC television paid $750,000 to stop contempt of court proceeding for refusing to disclose sources. 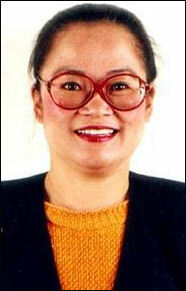 In April 2003, Katrina Leung, a Los Angeles-based Chinese-American businesswoman and socialite, who was accused of being a double agent for China and was arrested on espionage charges after she was caught copying classified documents. Regarded as one of the FBI’s best sources of information on China and known by the code name Parlor Maid, she was paid $1.7 million by the United States government for services related to national security. It turns out, however, she had deliberately been feeding the FBI disinformation and stealing secrets about FBI counterintelligence operations against China by having affairs with two FBI men. Leung came to the United States from southern China when she was 15. A successful entrepreneur who made a name for herself as a donor and fund raiser for political campaigns, she was recruited by the FBI in 1982 and was regarded as an important source of information on the Chinese leadership, with which she said she had excellent contacts. The information that she turned over to the FBI was so highly valued that it won a special CIA prize for her handler---one of the FBI men she had an affair with. Leung reportedly compromised highly sensitive espionage investigation on the Chinese neutron bomb and revealed to the Chinese that bugs had been planted in a Boeing plane intended for use by Chinese leaders. 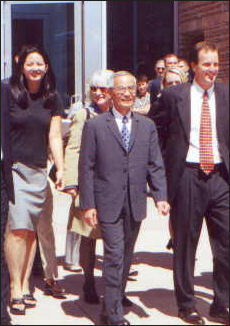 Leung was indicted in May 2003. She pleaded innocent to the charges and was ultimately cleared of most of them. In December 2005, she sentenced to three years” probation, 200 hours of community service and a $10,000 fine for lying to the FBI. After she was read er sentence Leung said, “I love America.” Pomfret wrote, "Leung’s reaction made sense. By all accounts, her case constituted the most sensational example ever of the penetration of the FBI by Chinese intelligence. And all she got was a rap on the knuckles. J.J. Smith, a 20 veteran of the FBI who had a 20 year affair with Leung, was also arrested. He allegedly removed documents---including one marked “SECRET” that detailed FBI electronic communication about Chinese fugitives and provided information on an FBI investigation called the “Royal Tourist”---from FBI headquarter and fed them to Leung. In March 2008, 67-year-old Chinese-born engineer Chi Mak, was sentenced to 24½ years in prison for conspiracy to export U.S. military technology to China. Mak, a U.S. citizen who worked on naval propulsion systems, was arrested in 2005 after FBI agents found three encrypted CDs in the luggage of his brother and sister as they prepared to board a flight for China. The CDs contained documents pertained to submarine propulsion systems and power electronics. Four of Mak’s relatives, including his wife, pleaded guilty to spying charges. Mak’s lengthy term was considered a warning. Mak was described by prosecutors as the “perfect sleeper spy.” He lived quietly with his wife in a Los Angeles suburb and slowly and steadily worked his way to higher positions with a U..S. defense contractor, earning higher clearance and more access to top secret materials as he advanced. His coworkers regarded him as hard working and unassuming. After his arrest Ma admitted he had been placed in the United States more than 20 years earlier but insisted he was not a spy and said the information he allegedly took was available from non-classified sources on the Internet. A key piece of evidence use to convict Ma was a “to do” list of intelligence targets written in Mak’s hand. The list had been shredded and was retrieved from Mak’s garbage and painstakingly put together. Other Cases of Chinese Spying in the U.S. In July 2004, seven Chinese-born suspects were charged with illegally exporting U.S. military technology to China. The suspects worked for two technology firms in New Jersey. Among the items they were accused of exporting were equipment used in smart weapons, advanced radar and electronic warfare. In August 2010, Noshir Gowadia, an American engineer working on the B-2 stealth bomber, was convicted of selling secrets to China in return for $110,000 in cash which he used to pay for a mortgage on multimillion-dollar beach view house in Maui, Hawaii. Gowadia gave the Chinese the design for a cruise missile component and then showed its effectiveness when compared to United States’s air-to-air missiles. Other espionage cases that involved China in 2008 include: 1) the sale of “controlled power amplifiers, devices with military applications, by an American company called Wavelab; and 2) the theft of information on the space shuttle, Delta IV rocket and Air Force C-17 by a former Boeing engineer named Dongfang Chung. In May 2011, Chinese national Yi Qing Chen was given a 25 year sentence in the United States under post 9-11 terrorism laws for trying to smuggle anti-aircraft missiles into the U.S. from China. He was arrested after he tried to sell the missiles to an undercover FBI agent. In September 2009, retired U.S. Air Force Lieutenant Colonel James Fondren was found guilty of selling classified documents to a Chinese spy, a Taiwanese, New-Orleans-based furniture salesman Tai Shen Kuo. Fondren turned over classified information while working as civilian in the Pentagon. 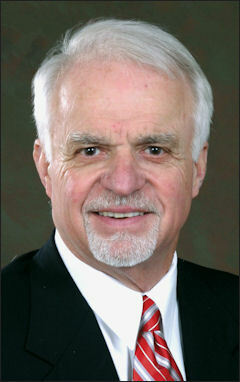 In February 2008, weapons systems policy analyst Gregg Bergersen was charged with spying after he sold classified defense materials---data on every planned U.S. weapons and technology sale to Taiwan to Tai Shen Kuo who then passed on the information to the Chinese government. In January 2011, Indian-born Noshir Gowadia, a former B-2 stealth bomber engineer, was given 32 years for selling military secrets to China. A Honolulu court said he helped China design a stealth cruise missile in return for money to help pay his $15,000 a month mortgage for a house overlooking the ocean in Haiku on Maui. In July 2009, Dongfan “Greg” Chung, a Chinese-born American engineer who worked for Boeing and Rockwell International, was convicted in the United States of stealing trade secretes for China on aerospace programs as unregistered agent for the Chinese government. In May 2006, an ex-Lockheed employee, Moo Ko-Suen of Taipei, pleaded guilty yo to plotting to ship to China advanced U.S. weapons, including 5-16 fighter engines and nuclear-capable cruise missiles. In December 2006, Xiaodong Shelden Meng, a Chinese-Canadian engineer and a California resident formally from Beijing, was charged with 36 counts of “economic espionage” for stealing trade secrets, , including sophisticated visual simulation software used to train military fighter pilots, from Silicon Valley company that made military training software. In August 2007 Meng pleaded guilty to selling military software to China. Espionage cases that involved China in 2007 included 1) the imprisonment of one Philip Chi for two years for exporting infrared cameras to Vietnam; 2) the arrest of Bing Xu of Nanjing, China for attempting to export night vision goggles; 3) the arrest of a man named Noshor Gowadia in Hawaii for transmitting information on technology related to making cruise missile exhaust hard to detect; and 4) the arrest of Qing Li for conspiracy to export military-trade accelerometers, which are used in smart bombs. In February 2010, former Boeing engineer Dongfan “Greg” Chung, a naturalized U.S. citizen, found guilty of economic espionage and acting as an agent for China and was sentenced to 15 years in prison in the United States for passing space shuttle secrets to the Chinese. In February 2001, Li Sjaomin, a U.S. citizen and professor at the University of Hong Kong was picked up and detained for five months on charges of spying for Taiwan. In September 2003, 51-year-old David Wei Dong, also known as Dong Wei, a U.S. citizen who had been doing business in China for more than a decade, was detained on charges for spying for Taiwan. He was still being held 10 months later. In August 2005, Xie Chunren, a Chinese-born, naturalized U.S. citizen and business executive, was arrested on charges of spying for Taiwan. In July 2010, U.S. geologist Xue Feng was detained and tortured and then sentenced to eight years in jail on charges collecting intelligence for overseas and illegally providing state secrets. Three Chinese nationals were given prison sentences of 2½ to six years in connection with the case. Xue, who was born in China and educated at the University of Chicago, angered authorities by arranging the sale of a detailed commercial database on China’s oil industry to the Colorado-based energy firm IHS Energy. Xue initially disappeared in 2008 and news of his arrest was not announced until November 2009. In China, spies are tried behind closed doors. The National Security Agency and the FBI and other intelligence operation planted bugs in a Boeing 767 used by the President of China while the plane was being refitted in the United States. Twenty-seven listening devices were found, including ones in headboard of the bed and in the bathroom used by Chinese President Jiang Zemin, after the plane was delivered in 2001. The devices were very advanced. They needed to be triggered by satellite communications. Most were in the presidential suit, which contained a bedroom, sitting room, bathroom with a shower and a 48-inch television. The revelation was as much of an embarrassment for Chinese security as it was for the Americans. The Chinese had no fewer than 20 security agents and soldiers guarding the plane while it was being worked on in San Antonio Texas. The Chinese reaction was muted when news of the bugging was made public in 2002. There was no diplomatic outburst. U.S. President George Bush’s trip to China around the same time went ahead as scheduled. Perhaps one reason for this is that were originally going to pay $20 million for the refitting job but only paid $10 million.